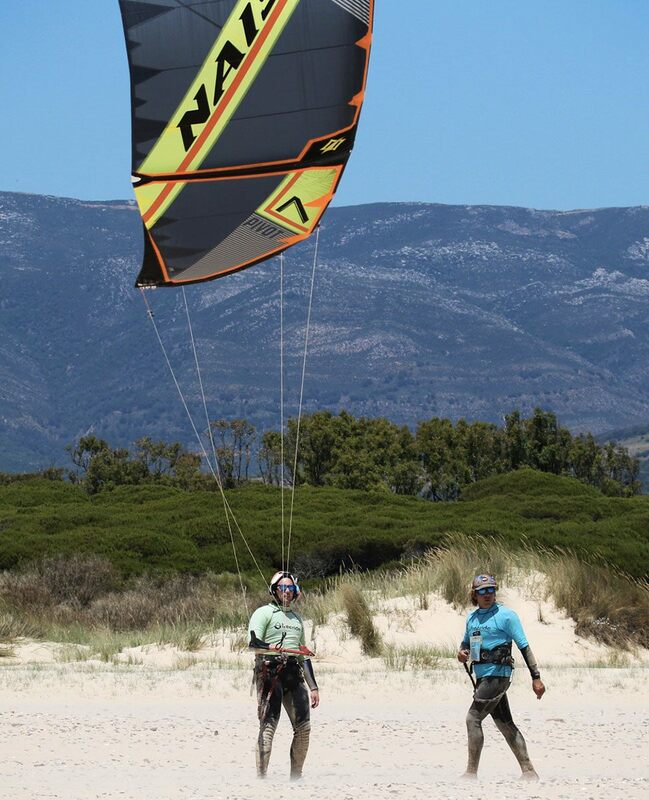 Learn to kitesurf with our kite school in Tarifa – Spain and combine fun, kite lessons and discovering Andalusia. 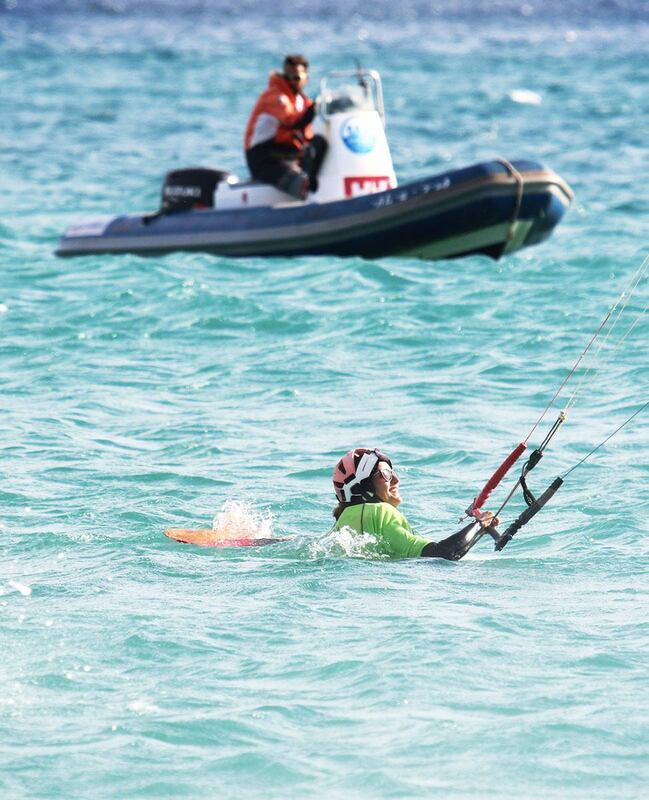 Kitesurfing is a sport for everyone! Our approach is professional and personal. What’s more, all our instructors speak English and are IKO / FAV certified. During your kitesurfing lessons, whether you are learning solo, in family or with friends, we’ll always ensure there’s a maximum of 4 students per instructor, so you get the best attention. We dedicate a lot of attention to the safety of our students as well as their progression. That’s why we renew our kitesurfing equipment from “Naish kiteboarding” every year and we use radio headsets to correct you in real time. You will practice kitesurfing on Tarifa’s main kite spots of Los Lances and Valdevaqueros, beautiful beaches open on the Atlantic Ocean with a view of Morocco and only 5 minutes drive from the village of Tarifa. We have been teaching kitesurfing for more than 10 years and we have been fortunate to teach it on the most beautiful kite spots in Europe, Africa, South America, Asia … before set up our kite school in Tarifa, south of Spain. What we want to achieve with Freeride Tarifa is to share our passion for kitesurfing in a pedagogical and playful manner. We put a huge value on safety, individuality and progress for all our students. What we tell our students is this: the only way to know your limits is to give a try. Kitesurfing it’s 90% of kite control. 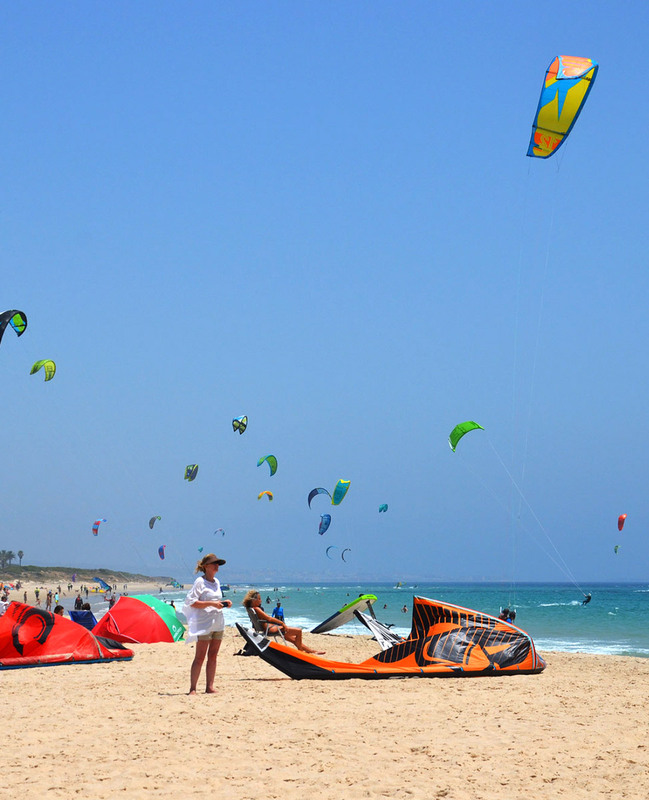 So take your time to learn the fundamentals properly throughout your stay in Tarifa. kite-loving locals who lead the school. 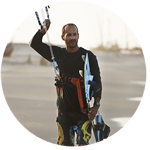 After a first experience as a sport teacher, Olivier is quickly oriented kitesurfing that fascinated him. For 10 years, he traveled with the windy seasons and began to teach kitesurfing around the world. Certified with IKO / FAV diploma, he finally settled in the European capital of kitesurfing to create his school in Tarifa with Vanessa! 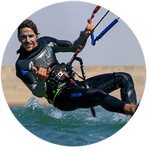 He is French, speaks Spanish and English and will accompany you throughout your courses with pedagogy to make you learn kitesurfing while having fun. After a career as Art Director with various experiences in different industries such as in music, photography and graphic design in France and London, Vanessa wanted to combine career and sports activities. 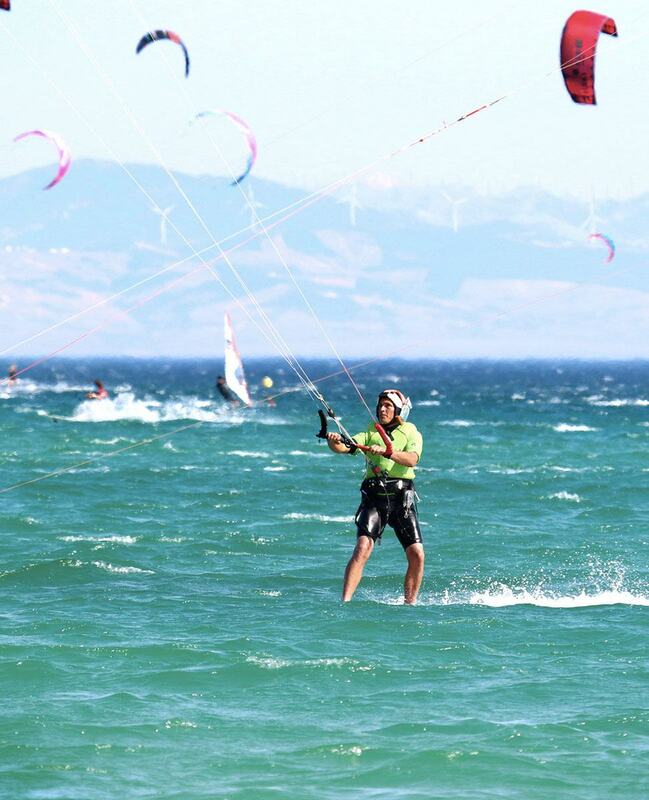 Attracted by all types of sports such as yoga, horse riding and of course kitesurfing, it is quite natural to join Olivier to enjoy this beautiful setting Tarifa. Vanessa will be your interlocutor for the organization of your stay. Do not hesitate to ask her all your questions whether in French or in English. Fill out our form to help you organize your kite trip. A traveler of a lifelong, Dom discovered in kitesurfing a way to bring together his two passions: sports and traveling. Allowing himself to be led by the wind & the curiosity, he discovered paradisiacal places such as Boracay, Tulum and Atins. 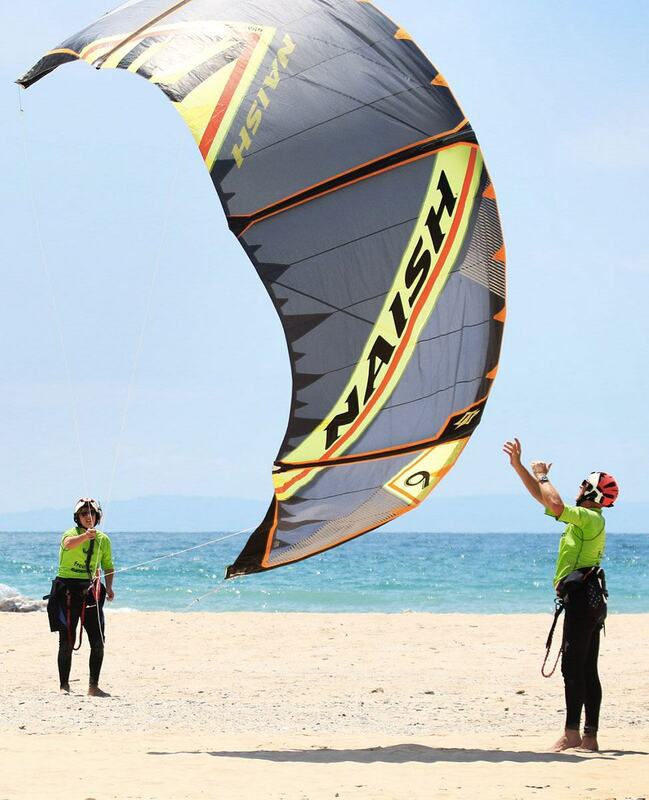 A patient instructor, reassuring and fun, Dom chose Tarifa for its winds, beautiful beaches & its surf ambiance. 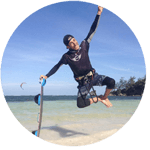 Cyril practices kitesurfing since 2008 and has started to teaching it to combine his passion with his work. He traveled in many countries to ride and shred the crystal! Curious by nature, calm and sociable, he will be delighted to share his travel experience as well as following you in your kitesurfing learning while always making you progress. Krys, IKO instructor and trainer is also a yoga teacher and nutritionist. 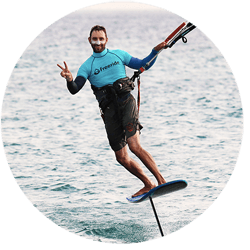 For more than 5 years, he has traveled the world offering his services to the Kitesurfing community and Yogist sharing his passion for sport and healthy life. An accomplished sportsman, listening et generous, who brings his students to overcome their limits through sound advice. 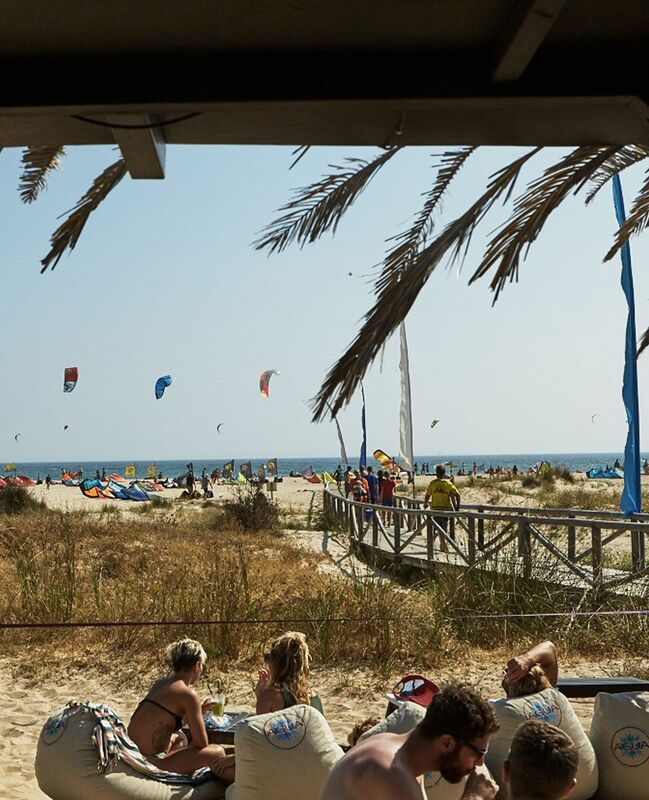 With its miles of windy beaches, unspoiled nature and countless bars and restaurants, Tarifa is known as the best kite spot in Europe. An ideal place to relax, have fun and learn kitesurfing. Main kitesurf spot for kitesurfing schools. To unwind after a kite session, go to “Agua” or “Waves” beach bar. Spot with kite schools and windsurf schools. Refuel yourself at the “Tangana” or “Tumbao” beach bar. A spot to relax after your day of kiting, at the beach bar “Waikiki” or “Long Beach”, facing the ocean.